Looking for low investment business idea that is fun and rewarding? 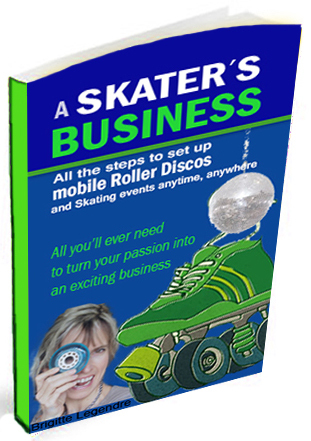 All the steps to create mobile Roller Discos and Skating events anytime, anywhere will guide you on how to make it happen fast and efficiently. Roller discos are fun family events attracting people of all ages. Parents remember how much fun roller skating was and kids discover the wonders of sliding on wheels to the sound of music, under disco lights. I remember setting up the gear at my first Roller disco wondering if anyone would turn up. I had no experience in how to do it and no idea if people would be interested. Everything was ready, opening time was approaching when people started to arrive. One by one, two by two, the hall filled up with people wanting to skate. It was a great moment to see the result of my vision of setting up Roller discos in my little community. It’s been 7 years now and the Roller discos are going strong in the 10 local venues I use on a regular basis. People keep coming in drove for a healthy fun night out.